Saunastore is the expert in saunas! Saunastore LLC is a family owned and run company. We are Finnish and we have been in saunas since we were born, the Sauna is in our DNA. Besides of the sauna, Finns are also known for being straightforward and honest, and that is certainly us. Saunastore was established in 1994 to bring the authentic Finnish sauna to the USA. Our main product lines are Saunas, heaters and sauna accessories. Our commitment has always been to offer the best products to our customers. Sauna is an integral part of life in Finland, and our products are an exclusive selection of the best products to present that relaxing lifestyle, for you to be able to create that atmosphere in your home. Our saunas include both authentic Finnish Saunas and North American made saunas. We gladly ship products anywhere in the world. Our focus is to offer the best and the widest selection of authentic Finnish real saunas, a range of real choices. We are always more than happy to help you in any questions or concerns, and to aid you in finding the right solution for you. The internet was a revolution, for us too, and we embraced it fully in a pioneering way already in 1997. Among the first we believed in the possibilities to better serve our customers in a new way. The NEW Saunastore that is in these pages, serves you even better. 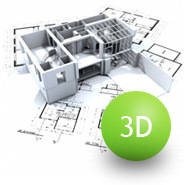 We present the products in a revolutionizing comprehensive way, and you can easily try the products to your own space with our 3D Room Planner. We are developing these tools constantly, but the most important is that you try them out and discover how fabulously easy and visual it is to choose the right products for you. Today Saunastore operates both in the USA and in Finland, serving customers everywhere.